As the sequester deadline looms over Congress, House Republicans have been talking up the fact that they have “taken action” to avert the across-the-board budget cuts, pointing to two bills they passed in the House last year. Republican leaders have used those two bills as evidence that President Barack Obama and Democrats have not made an effort to avoid the sequester. But in reality, the plan put forward by Senate Democrats Thursday probably has a better (albeit still slight) chance of becoming law than the Republican plan ever did. That’s because, as the Washington Post’s Greg Sargent puts it, the Republican plan included 100 per cent of what they wanted and 0 per cent of what the other side wanted; the legislation merely replaced the $55 billion in scheduled defence cuts with additional cuts to domestic programs. 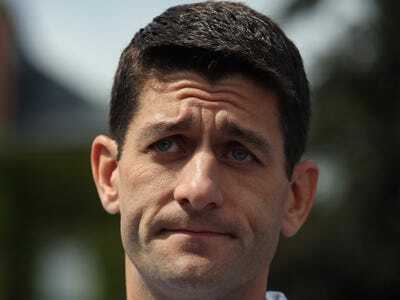 The bill, called the “Sequester Replacement Act,” was first introduced by House Budget Chair Paul Ryan early last summer, and House Republicans reintroduced a slightly modified version during the “Plan B” debacle during the fiscal cliff negotiations in December. The Congressional Budget Office estimated that the GOP bill would result in $217.7 billion of deficit reduction over 10 years. But the cuts would have been wildly unpopular — which is why the legislation was never taken up in the Senate and threatened with veto by the White House. The bill also would have defunded some of the financial regulatory reforms passed in 2010. It would have slashed funding to the Consumer Financial Protection Bureau and halted the Federal Deposit Insurance Corporation’s power to bail out financial firms. In short, there’s a reason the bill barely passed both times it was brought to a vote. Although the legislation expired with the end of the 112th Congress in January, Republican House Speaker John Boehner signaled Thursday that he wouldn’t bring the bill up again for a vote.